← So what is this strange bird? Mysteries in blurred photographs do sometimes get solved. Last week I posted a picture of a strange bird sitting on the wall of my garden. It didn’t appear in any local bird book and when I approached a couple of ornithologists they too were stumped. So I turned to the Internet and asked you guys. I got a suggestion. Varsity friend Mark Stavrakis said I should post that blurry photograph of the bird on the Facebook Birders site. I did, and in a couple of hours that unusual bird got a name. 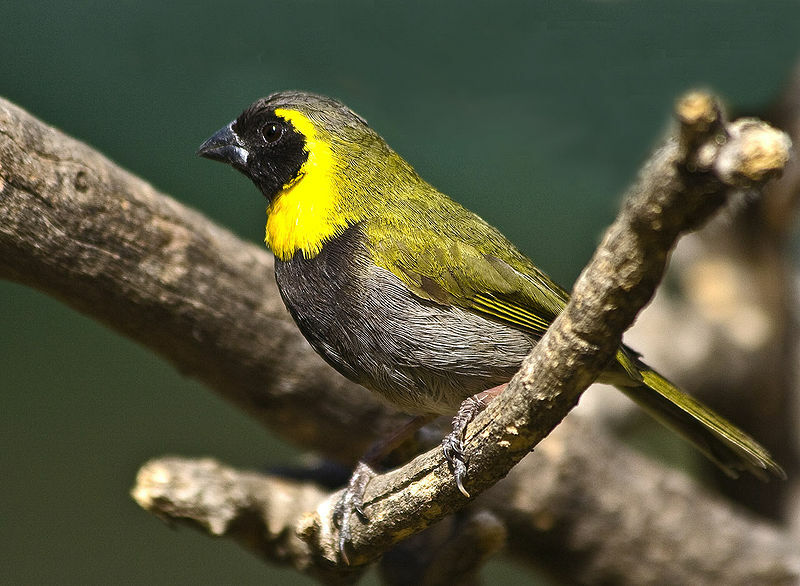 What it is, is a Tiaris canorus or the Cuban Grassquit. This little bird, with its golden collar and black face, is usually found in Bahamas, Cuba, and Turks and Caicos Islands. It did a lot of flying to get to South Africa, a transoceanic voyage, completed on wings no bigger than the length of a cigarette box. A whole lot of Cuban Grassquits flying in formation heading for Mzansi. That is what I would like to believe, but the clue to how it really got here can also be found on the Internet. There are a lot of Cuban Grassquits for sale. So it seems the Cuban Grassquit seen in my garden was probably an escapee from a neighbouring aviary. 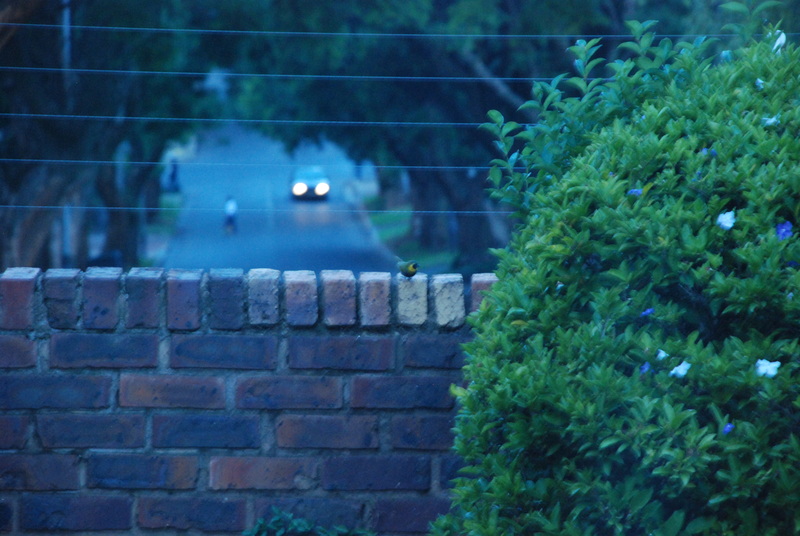 This entry was posted in johannesburg, Kensington, science and tagged bird watching, birdwatching, Johannesburg, mystery bird species. Bookmark the permalink.